The United States financed the war by selling $16,978,356,250 worth of Liberty Bonds during the war. The "Victory Loan" was an issue of $4,500,000,000, sold after the Armistice was signed. The unused ammunition is now being blown up by the Reclamation and Demolition Department, 1st Army. Jan. 13, 1919. 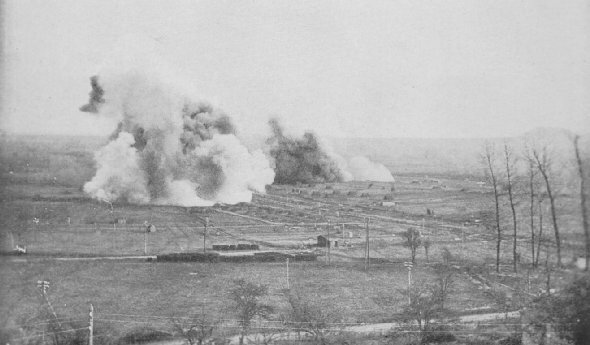 German ammunition dump being exploded by Ordnance Department, 1st Army. 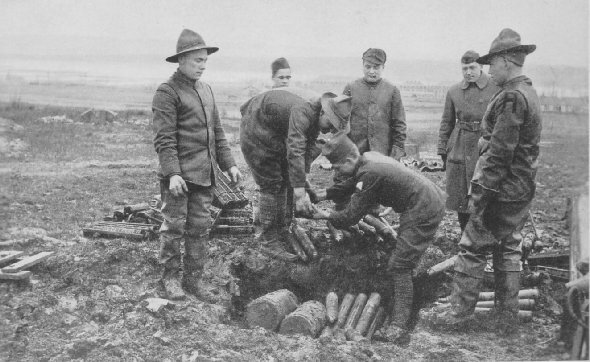 3,000 shells, 1,500 grenades (potato-masher type) and some dynamite exploded in nine explosions. Lissey, January 20, 1919.